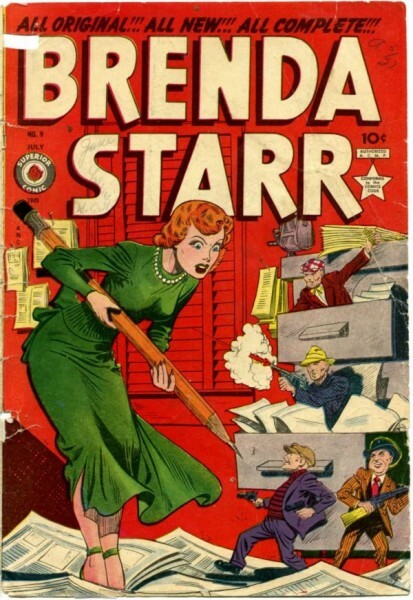 Adafruit’s comic reading list: Brenda Starr, Reporter created by Dalia Messick #adafruitcomics « Adafruit Industries – Makers, hackers, artists, designers and engineers! 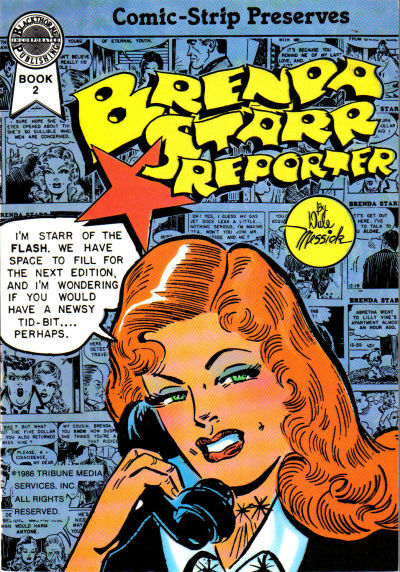 A new edition of Adafruit’s comic reading list — this week it’s Brenda Starr, Reporter created by Dalia Messick written up by Zay Amsbury, shipper! Most places, including the Amazon link above, will tell you that Brenda Starr was created by Dale Messick. 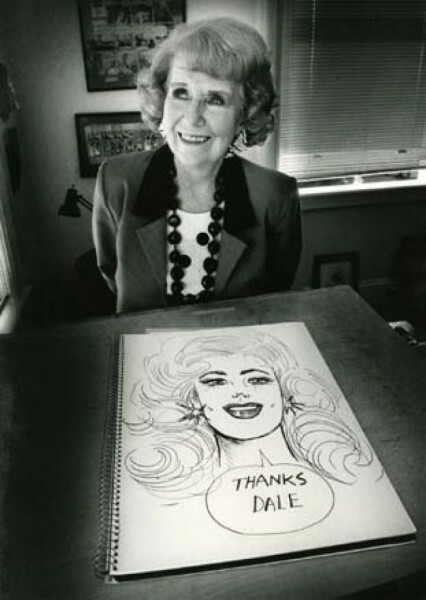 But Dale Messick is really Dalia Messick, one of the great heroes of comics. 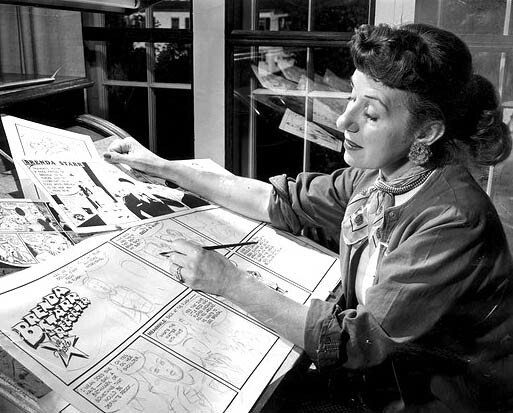 While Nell Brinkley, Gladys Parker, and Edwina Dunn all had success as comic artists before Messick, her 43 years working on Brenda Starr was unprecedented. A brash, uncompromising figure, Messick wanted to write an adventure comic with a female protagonist — something almost unheard of at the time. When her proposal for a female pirate series was rejected, she came up with the idea of a reporter — something relatively respectable, but filled with possibilities for adventure and intrigue. Even with its brash main character and subversive winks, Brenda Starr was an instant success. But the fact of Brenda’s presence in the world, and the fierce devotion and work ethic Messick brought to the piece inspired many along the way. Because even though Messick was far more concerned with keeping narrative balls in the air than she was the actual day to day of what being a reporter means, she opened the possibility of a life in journalism to many young women. Messick’s particular storytelling gift was the skill of a serial writer: plot-twists, soap-opera relationships, cliffhangers, and dizzying suspense. Messick is true comics legend. She never missed a deadline in 43 years. Check out our previous posts Bee and the Puppycat, Spacetrawler, Grrl Power, Krazy Kat, She-Hulk, King City, The Whiteboard, Hubris, Akira, The Wicked and the Divine, Saga, Are You My Mother?, Cairo, Static, Elfquest, Hip Hop Family Tree, Finder, Peanuts, Love and Rockets, As the Crow Flies, Hellblazer, Strong Female Protagonist, Safe Area Goradže, The Legion of Super-Heroes, The Arab of the Future, Barefoot Gen, Stay Still and Stay Silent, and The Invisbles!